Our Buford, GA Personal Injury practice is invested in you! The beautiful city of Buford deserves lawyers who care. Buford, GA is s suburban community boasting a high quality of life, a great school system, beautiful neighborhoods, and one of the largest malls in the Southeast! With all that Buford has to offer, it is essential that Buford residents have the legal representation they deserve. At Link & Smith P.C. we are dedicated to helping Buford residents who have suffered personal injuries get the justice they deserve in a time of trauma. Personal injuries are regular occurrences, and when you’ve been injured you need to know where to turn. Turn to the personal injury lawyers at Link & Smith P.C. Although we represent persons all over Atlanta, and the Southeast, we will still give you the individual attention you deserve to get the most comprehensive monetary compensation possible. Compensation resulting from a personal injury claim can cover medical expenses, personal damages, and lifestyle changes caused by the accident. We want to ease your pain through quality representation. Our attorneys are seasoned trial lawyers who specialize in a variety of personal injury claims, including DUI victim representation, auto-accidents, tractor-trailer accidents, boating and jet-ski accidents, and motorcycle accidents. Experienced Personal Injury Lawyers in Buford, Ga.
Our Buford lawyers have over 40 years of combined experience, and we exclusively handle personal injury claims. We also have impressive case results, with some claims totaling over $40 million. Our attorneys work strictly on a contingency basis, meaning that you pay no up front fees. We will make the legal process easy for you by assisting you every step of the way. At Link & Smith P.C., your needs come first! Remember, at Link & Smith P.C., serious injuries deserve superior results! We are here to meet the needs of Buford, GA residents. We want to provide you with the best legal representation possible, and we promise that if you choose the firm of Link & Smith P.C., you won’t be disappointed. If you are not able to come to our location we will gladly meet you at your home or another location convenient to you to discuss your claim. At Link & Smith P.C., we are personally invested in your wellbeing. We want to help you receive the best possible case results. 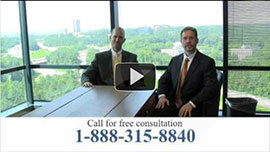 If you would like a free consultation with an attorney about your accident, please contact us today at 678-203-6230.